After bouncing around between four different Boston-area stadiums in their first 11 seasons, in 1971 the Patriots moved into a new stadium in suburban Foxborough (also known as Foxboro), on land granted by the Bay State Raceway. 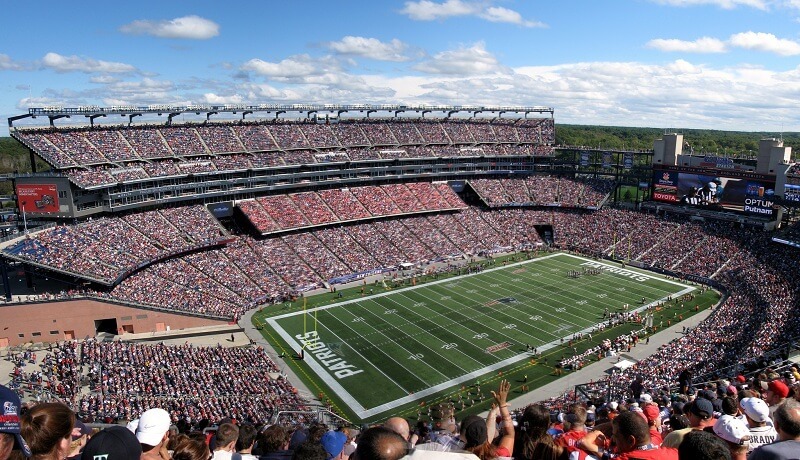 Prior to 2002, the Patriots played in Foxboro Stadium dating back to 1971, the team’s second year in the NFL after the AFL-NFL merger. During the team’s days in the American Football League, the Boston Patriots were hosted by a number of fields in or around Boston they played at Braves Field, Harvard Stadium, Fenway Park, and Alumni Stadium.